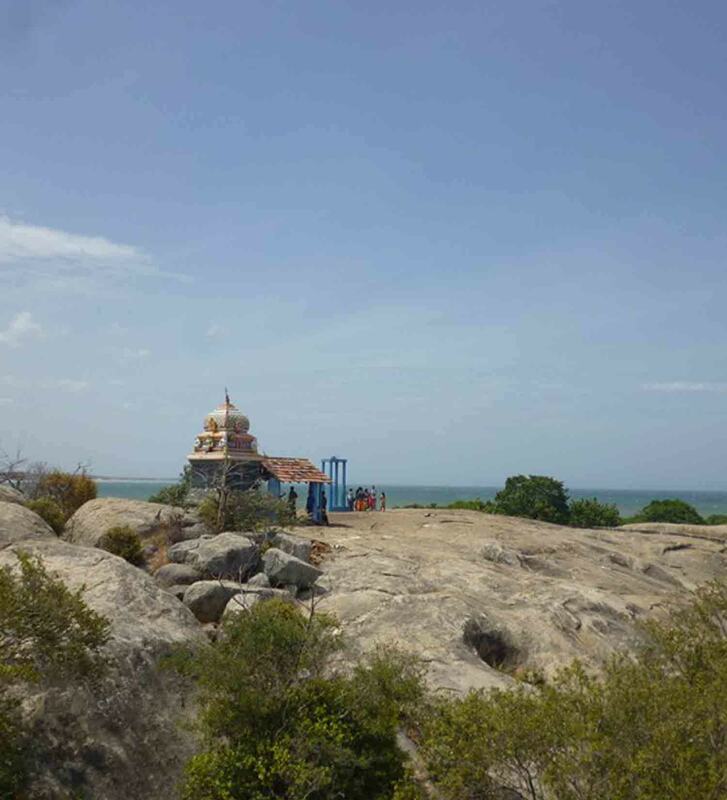 The sylvan shrine of the Ukanthamalai Śrī Murugan Kovil, in the jungle amidst rocks, devoted to the Kataragama Deity, is teeming with pilgrims as the annual festival began on July 15 with the “Mayoora Flag-Hoisting” ceremonies, conducted by a dozen priests. 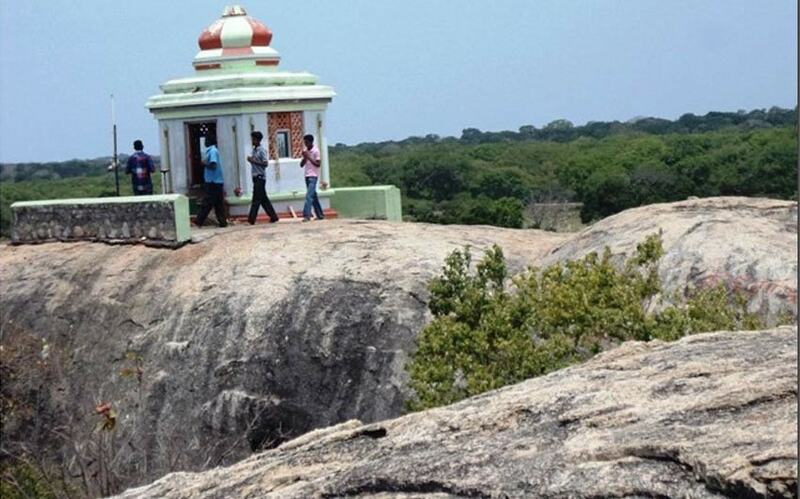 At the foothill of Okanda Malai is the Vêlāyuta Cuvāmi or Kanta Cuvāmi Temple, dedicated to God Skanda. 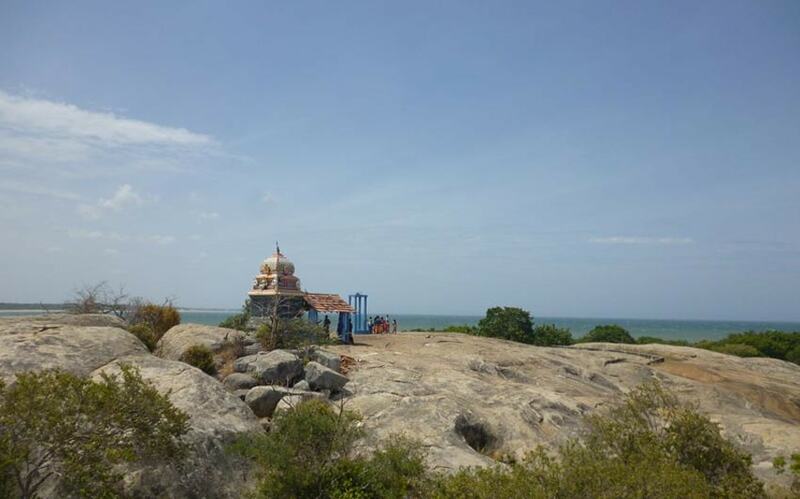 Here the Murukan temple is at the foot of the hill, while his sweetheart Valli occupies the summit. I have read with interest the story published in your esteemed journal “The Daily Mirror” of the 9th October, 2004, under the caption, “Okanda Devalaya Named Murugan Kovil” and please permit me a few lines in your valuable journal to respond to the utterly false allegations the Hon. Minister of Cultural Affairs, had made in Parliament. 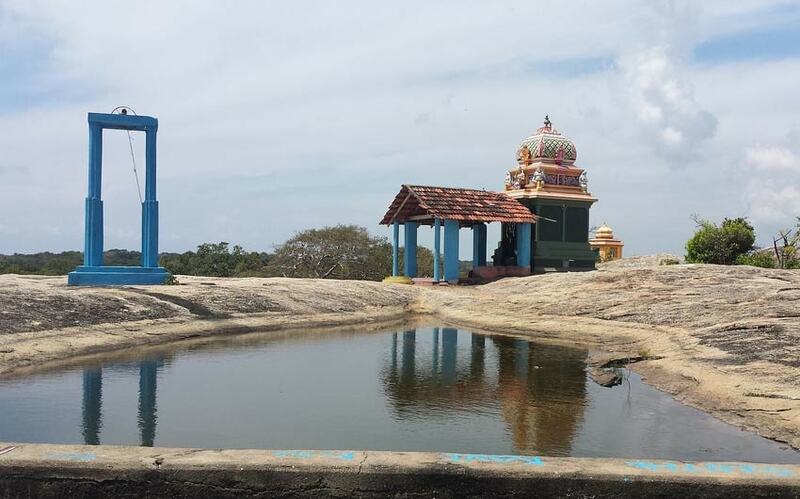 The sylvan shrine of Ukantha Malai , devoted to Lord Kataragama, and nestled in thick jungle amidst huge rocks, is the Playground of Valli and Murugan, and hence divine grace manifests abundantly here.